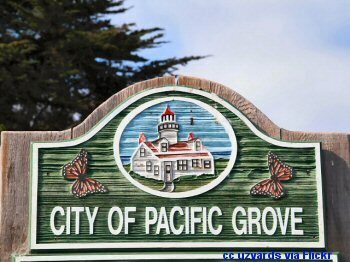 Pacific Grove, a Central California beach city, shares the Monterey peninsula with the cities of Monterey and Pebble Beach. A lovely little city with spectacular beaches, it is a restful and quiet place with plenty of fun and interesting things to do. 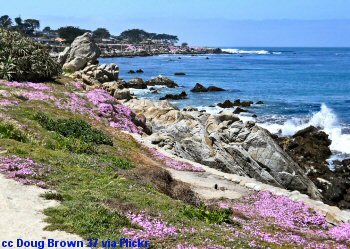 Pacific Grove, California is one of our favorite beach towns on the Central California coast. One charming characteristic is that it has the highest per capita number of Victorian style homes than anywhere else in the country. Another thing that adds to the city's allure is that no development has been allowed on the ocean side of the beachfront road. 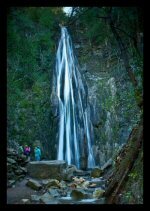 That makes the drive around this section of the peninsula especially scenic and enjoyable. If you prefer walking or cycling, there is a great coast walk that winds around most of the peninsula. Adding to the beauty of the ocean are garden-like areas, murals and statuary along the way. 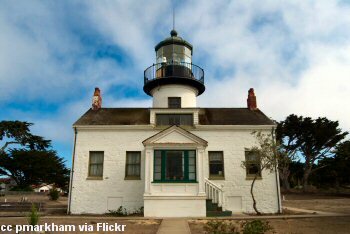 1855 saw the construction of the Point Pinos Lighthouse. Prior to 1875, its history is that of Monterey, and diverges when the Methodists bought land to use as a summer camp for Sunday school teachers. The campers initially pitched tents for housing, but eventually began building little cottages that were not much bigger than the tents they replaced. 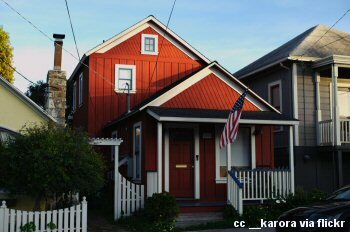 It was in one of these cottages that his family owned, that John Steinbeck spent some of his early writing years. While it doesn't have quite the reputation for the arts as Carmel, PG (as the locals like to refer to it) does have a strong art presence and history. 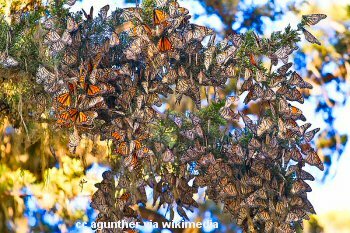 The butterflies arrive around the end of October and winter in the eucalyptus groves through February when they leave for their migration. It varies by year, but generally 25,000 of the insects can be found here during the winter. PG takes their butterflies very seriously (and rightfully so) and it is a misdemeanor to kill or threaten a butterfly. The main grove can be found at George Washington Park two blocks south of Lighthouse Ave. on 17 Mile Dr.
A nice museum devoted to the various animals, plants, geology and culture of the area. If you are here during butterfly season, a stop at the museum is in order as they are the local experts who can give you all the details. All the information you need is here. The city has a nice golf course - the PG Golf Links and while it may not be as "posh" as the courses a few blocks to the south, the rates are certainly better, with a round of golf costing well under $100 even on the weekends. And quite honestly, the scenery is just as good. 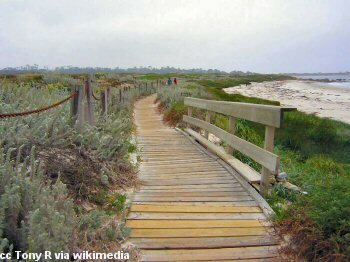 At the northwestern point of the peninsula you'll find the great coastline of Asilomar State Beach. Pounding surf, rocks and sandy dunes typify this section of town. Popular with surfers and beach walkers, it is normally quite windy, but is enjoyable nonetheless. If you drive through here you will certainly be watching the ocean on your first trip past, but you can turn around and enjoy the interesting architecture and setting of the homes on the inland side.